We all know Christmas is a time for giving, and giving tends to cost a bob or two. So it’s always nice to be able to save a little money elsewhere – whilst still spreading holiday cheer throughout your home. Here’s a cheap and cheerful guide to dressing your Christmas tree for less this year. The best part about this is that you’ll end up with a truly unique tree, a great way to show off your creativity to friends, and the perfect place for presents to pile up! It’s a little late for this year’s decorations but when the January sales are on remember you can stock up on all of your Christmas needs for next year. You’ll grab some bargains and take a load off of next year's to do list in the process. You’re going to want to stick with a smaller tree. 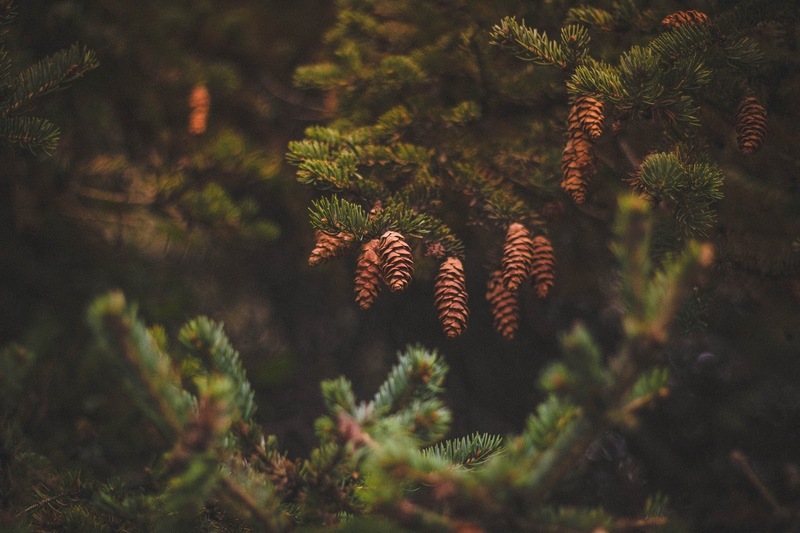 Artificial trees are more economical and eco-friendly so try and find yourself a good one of these that will last you for years to come - and don’t go overboard with the size. The bigger the tree the more wonga you’ll need to dress it. Wrap a cardboard stand in gold paper to create extra height if you think the room needs it or position atop a side-table. Search for unique vintage or kitsch baubles and decorations in charity shops – they’ll only stock the ones in good shape, so your tree will still sparkle. If you’re lucky you may stumble upon a set otherwise you could go for a common colour theme or simply choose individual baubles which all stand out. Everyone has a hoard of old baubles somewhere; raid your own for the best finds and ask friends and family for a rummage through their discarded boxes. If you do ask family members you’ll probably find tree ornaments and baubles you remember from Christmases at home. These can create a bit of tradition for your new tree. Hand stitch tree ornaments, bake biscuits or let loose with lollipop sticks for some truly personal decorations. This is also a great way to get your hands on a show-stopping tree topper for your personalized tree. Forgo the tree as we know it all together and create one of your own with stacks of favourite books, floating baubles or pinned string. Pinterest is guaranteed to be chock full of inspiration for alternative Christmas trees at this time of year, so get pinning and get inspired! However you decorate this Christmas it’s always worth remembering the holidays are not really about how much you spend – a truly memorable Christmas is about the people you spend it with. Wishing you a very Merry Christmas and a Happy New Year from The Lazy Girl. Let me know how you're spending yours in the comments. This is such a cute idea, I might give it a go next year!